What is a Hardy Annual? Most gardeners think of a hardy plant as a perennial that will survive cold winters. The term "hardy annual" seems like an oxymoron, but hardy annual, along with half-hardy annual and tender annual, are actually distinctions long used in England to classify the relative cold tolerance of newly planted annual seeds. What is a Hardy Annual Plant? Seeds: Hardy annual seeds can handle being frozen in the soil and are often planted in fall or early spring. Most self-seeding annuals would be considered hardy seeds, since they fall in winter and germinate the following spring. 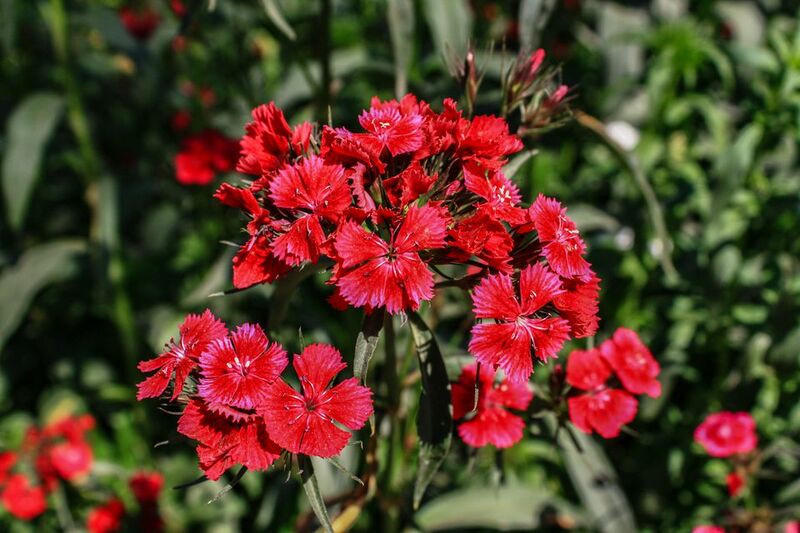 Examples would be alyssum, Dianthus, and Viola. Plants: Hardy annual plants can handle a slight freeze and are good choices for early fall and late spring planting. However, sustained freezing temperatures or a really good dip in temperature will do them in. Hardy annual plants will fare better if planted in the ground, rather than containers, since the ground will insulate roots better than the small amount of soil in a container. And plants that have had time to adjust to increasingly cold weather will be hardier than those that suddenly encounter it. Seeds: Half-hardy seeds can be direct sown after all danger of frost. They don’t like being frozen in the ground, but you don’t need to wait until the soil warms. Sometimes it’s just easier to start these seeds indoors and move them out as plants. Examples of half-hardy annuals include Cosmos, Gazania, and Petunias. Plants: Half-hardy annual plants can survive a couple of brushes with chilly night temperatures (35 - 45 degrees F.) and light frost, but anything colder will turn them to mush. Just like hardy annuals, the longer they’ve had to get used to the changing temperature, the hardier they’re likely to be. To make matter more confusing, most so-called tender annuals are really tropical perennials that were grown in non-tropical climates. Once the temperature goes below freezing, the entire plant dies. Tender annuals would include begonias and impatiens, which are perennial in the warmest of climates, and Zinnia, a true annual. Seeds: Don’t plant outdoors until the soil warms and nighttime temperatures are reliably well above freezing. Plants: Tender annuals can’t handle temperatures colder than about 55 degrees F.
As with all things gardening, there are no absolutes. Some plants will surprise you, for better or worse. When in doubt, it’s always a good thing to protect your susceptible plants with a row cover, at night. What Is Your USDA Plant Hardiness Zone?